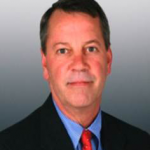 Mr. Puryear has over 20 years’ experience in middle market business transactions. He has had extensive experience in bringing the buyer and seller together so that all aspects of the transition run as smooth as possible. Having started and acquired several businesses, he shares his experiences and expertise when acting as both advocate and advisor to his clients.